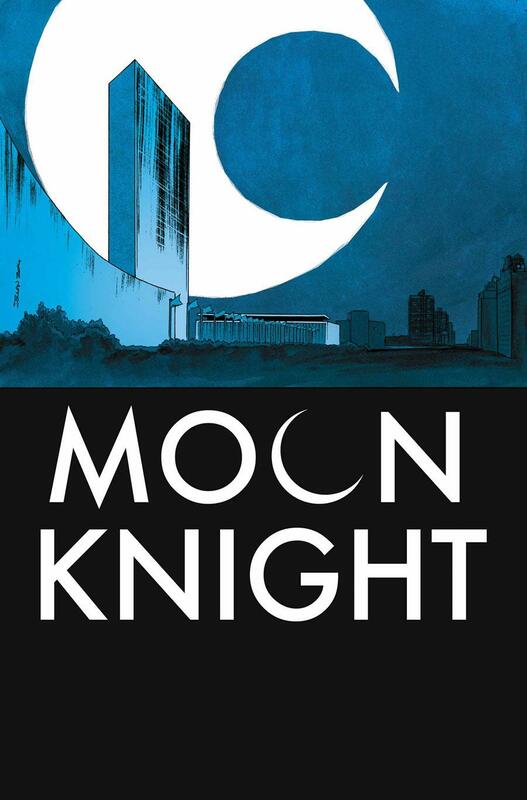 Artist Declan Shalvey debuted the cover of Marvel Comics' Moon Knight issue #10 on Twitter. 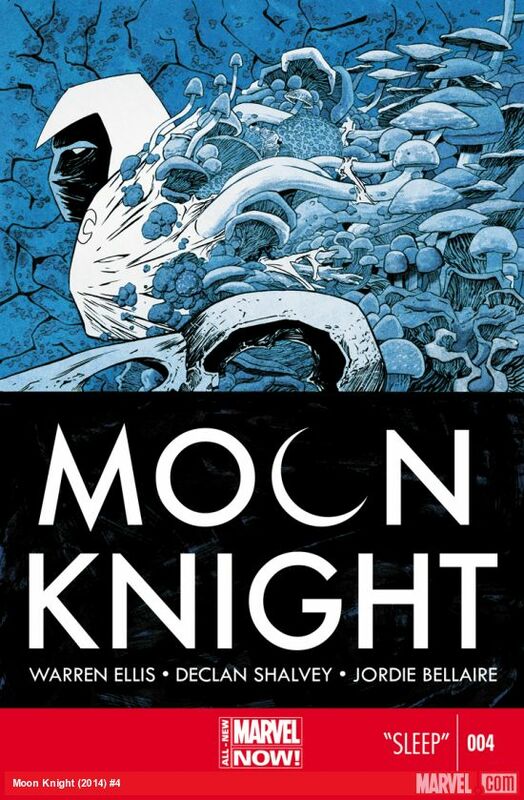 Marvel's latest iteration of Moon Knight has made our biweekly comics collection several times for its standalone stories, measured writing, and fantastic art. The latest series launched in 2014, with writer Warren Ellis, artist Declan Shalvey, and with colors by Jordie Bellaire. Shalvey's covers for the series are simply captivating, and recently revealed cover for issue #10 is no exception. Shalvey unveiled the cover today on Twitter. After issue 6, the series got a new creative team with writer Brian Wood and artist Greg Smallwood. Shalvey has stayed on as cover artist. Shalvey's covers for the series all play with color, usually a black and white image flooded with just a single hue. The crescent moon is present, subtly or boldly incorporated into the page, and half is given over to the title. The style gives the series a cohesive look, while letting the individual issues stand out based on color. Check out all of Shalvey's covers in the gallery below, including a variant cover for issue #8. The official cover for issue #8 has not been released. The Escapist's Stew Shearer has been following the series since issue #2, and hasn't been able to put it down since. Issue #2 put the vigilante Moon Knight on the trail of an urban sniper. Issue #4 made the recommended reading list for June, with another standalone story replete with surreal images, where Moon Knight must investigate an experiment with lucid dreaming. Issue #5 has Moon Knight fighting up through an apartment building in much the same style as The Raid. The latest issue, #7, hit shelves on September 3. 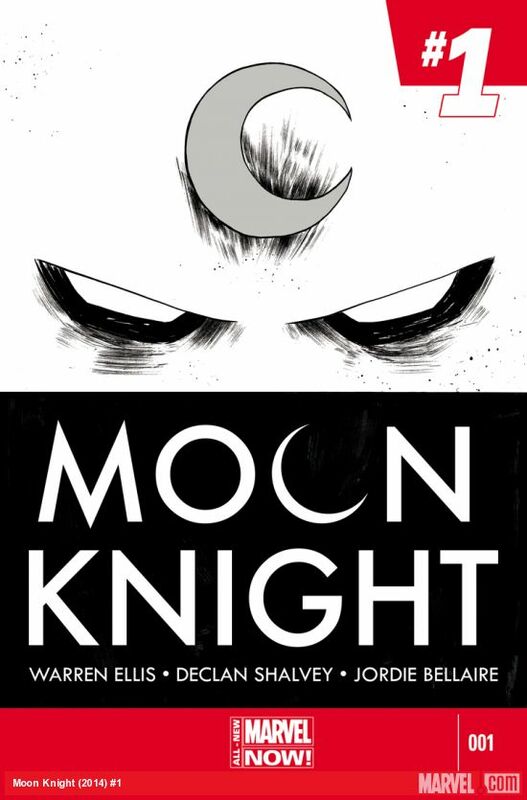 Moon Knight #1, Cover by Declan Shalvey. 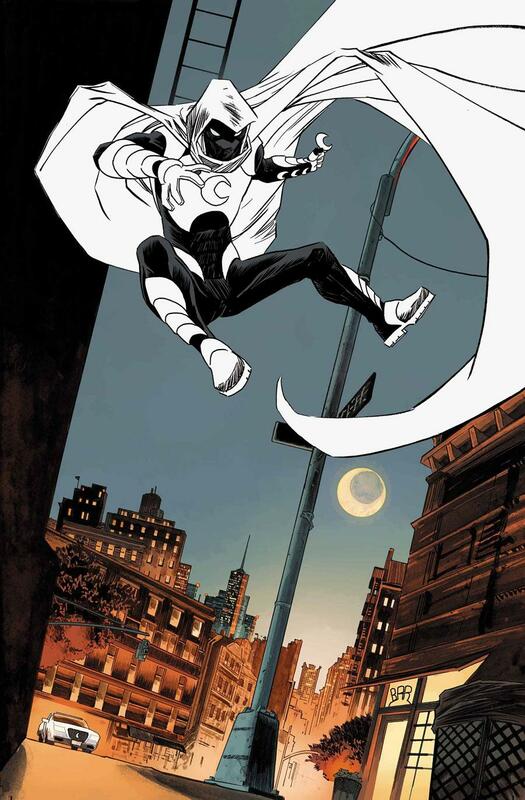 Moon Knight #6, Cover by Declan Shalvey. 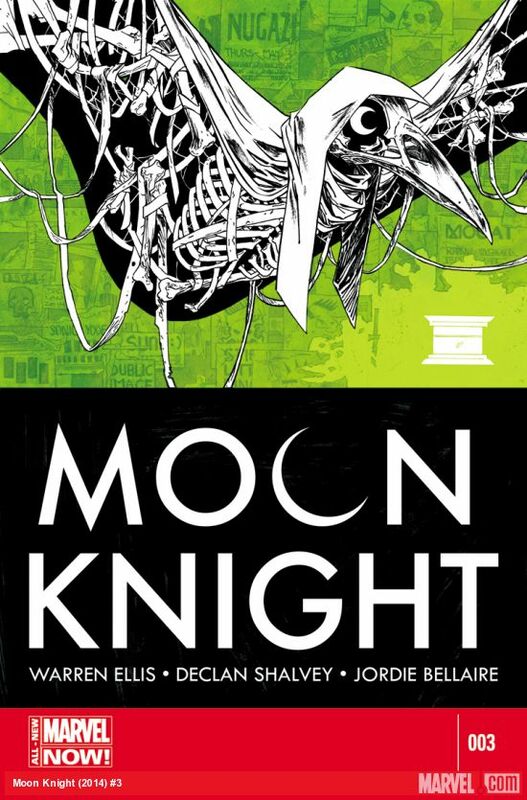 Moon Knight #3, Cover by Declan Shalvey. Moon Knight #4, Cover by Declan Shalvey. Moon Knight #2, Cover by Declan Shalvey. 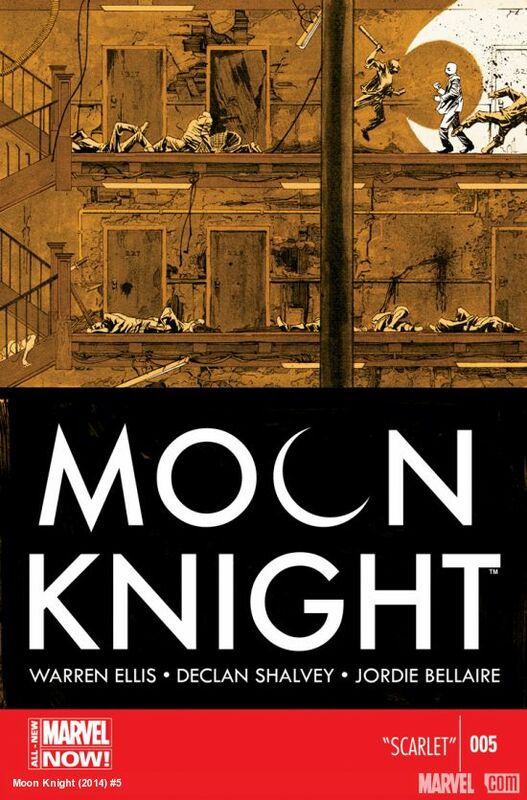 Moon Knight #9, cover by Declan Shalvey and Jordie Bellaire. 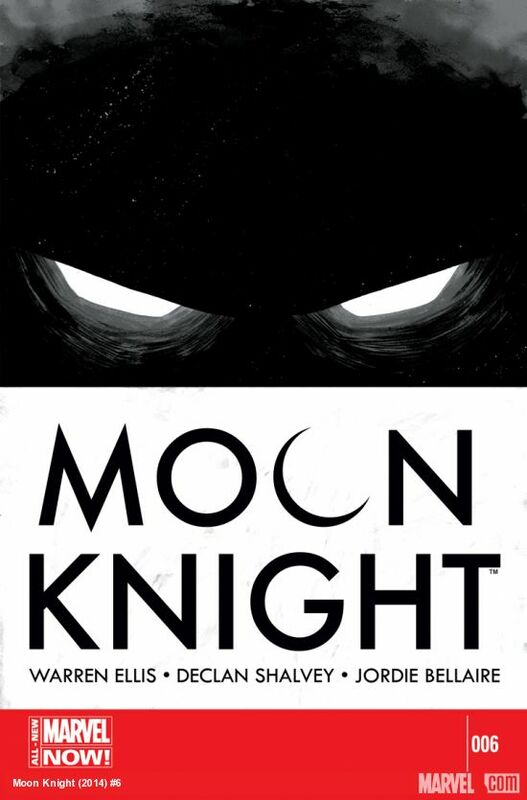 Moon Knight #5, Cover by Declan Shalvey. 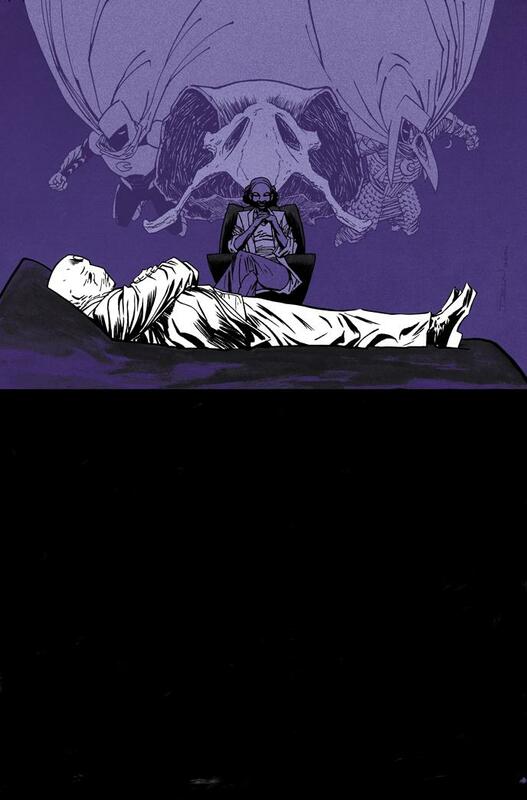 Moon Knight #10, cover by Declan Shalvey. 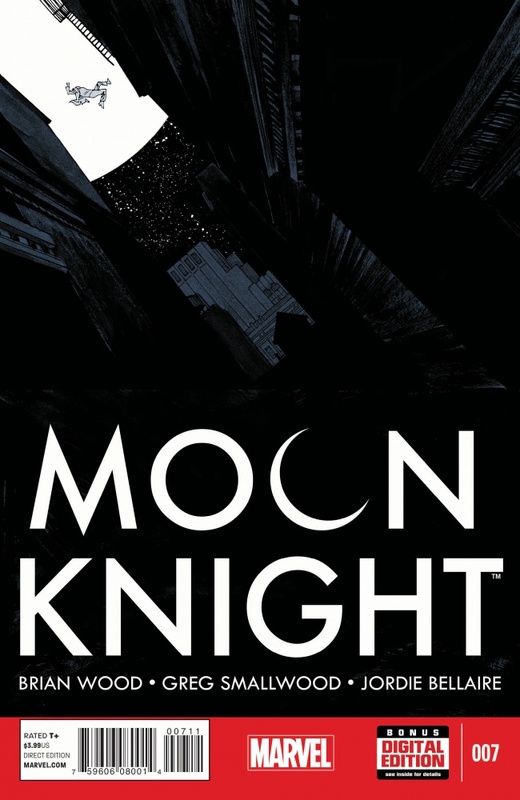 Moon Knight #8, variant cover by Declan Shalvey. 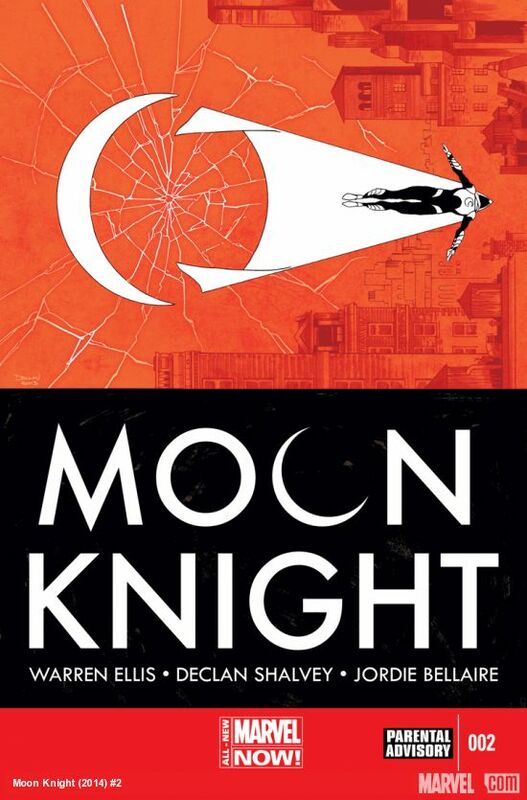 What do you think of Moon Knight? Which cover is your favorite?